PrimeFaces Extensions 1.1.0 released. 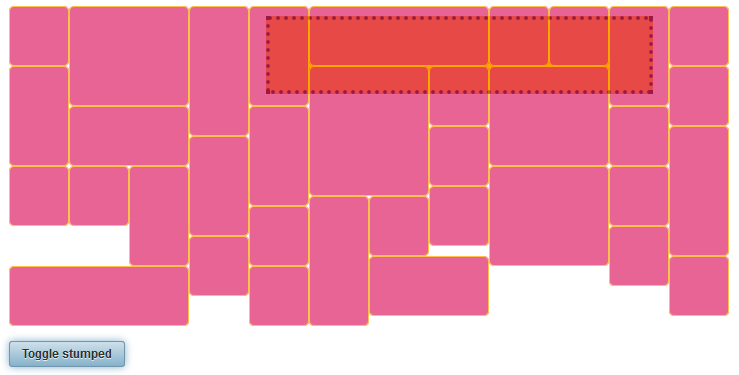 Introduction to flexible grid layout. We are glad to announce the next release 1.1.0 of PrimeFaces Extensions. Beside fixed issues (full list on GitHub) we added a new JSF component FluidGrid. FluidGrid is a cascading grid layout component. It works by placing elements in optimal position based on available vertical space, sort of like a mason fitting stones in a wall. 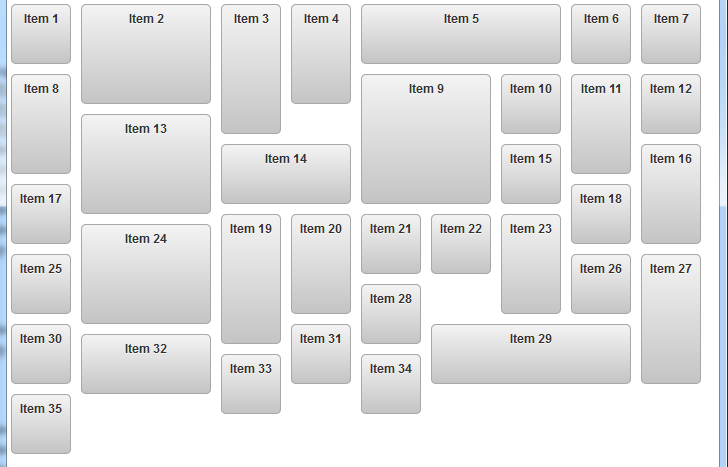 It is responsive, meaning the grid will reflow as the window size changes. Modern web sites are not imaginable without a responsive design. Good designed web sites look well on every device and with every screen resolution. The basic prerequisite for that is a dynamic fluid layout which fits any browser sizes. The new component FluidGrid allows to set up a nice tight grid with items that have variable heights and widths. Items inside of FluidGrid can have any content: text, images, links, input fields, etc. They can be defined in a static or in a dynamic way as in data iteration components. Let me show some features to get a first impression what the component can. The first example demonstrates a simple usage with static items. Static items are defined by the tag pe:fluidGridItem which can be placed multiple times below the main tag pe:fluidGrid. Items can have different width / height specified by style classes. The main container for the pe:fluidGrid has the style class pe-fluidgrid and the container of the pe:fluidGridItem has the style class pe-fluidgrid-item. After browser resizing all items are rearranged according to the available browser window size. No horizontal scrollbar appears. Dynamic items can be put in a collection or list of FluidGridItem instances. A FluidGridItem instance contains a data object (of any data types) and an optional property type to match the type attribute in pe:fluidGridItem (see the last example with dynamic form). Dynamic items can be accessed in XHTML via the value attribute and exposed via the var attribute. The result and more details can be seen in the showcase (second use case). More infos can be seen in the showcase (third use case). The next screenshots show a grid layout with a stamped element and without stamping after the button "Toggle stumped" was pressed. Now the last, the most important example, the FluidGrid was implemented for. 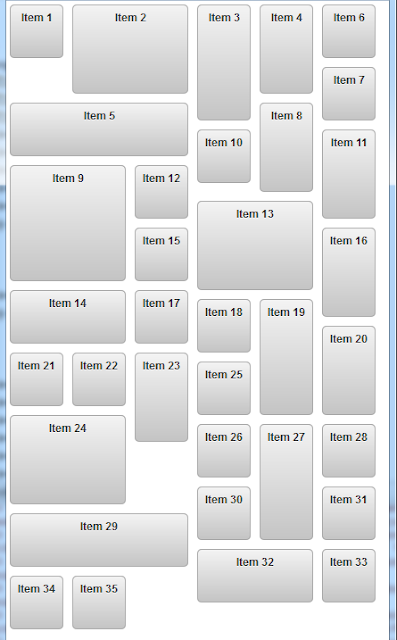 The example demonstrates how to design a responsive dynamic grid with input fields. This is similar to the DynaForm component in PrimeFaces Extensions, but the grid is not a fixed table in this case. It is responsive! 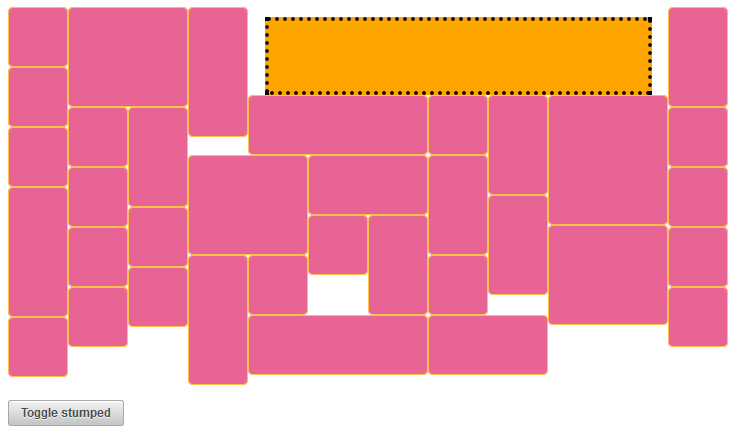 The grid layout with input fields is placed within the center pane in pe:layout. The results before and after resizing the center layout pane are shown below. Try to resize the browser window of this example to see it in action. The bean and model classes are straightforward. Have fun with this release! Tip: it is also worth to check a new example for our JsonConverter. The example shows how to pre-initialize any UI forms on initial page load (GET request) with default values passed in URL. Any data types are supported (also Java Generics! ).